Wow, this is one hell of a thick hardcover. 368 pages in all. The paper quality is good and the binding excellent for a book this thick. 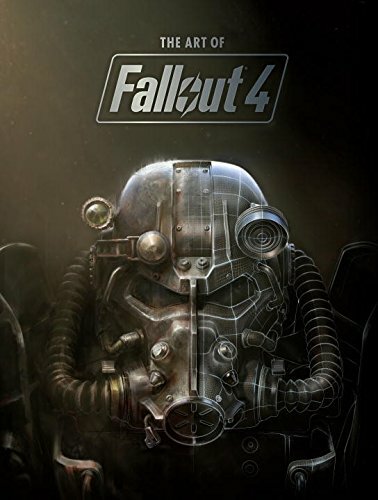 The Art of Fallout 4 is the kind of artbooks video game companies should be putting out. This is a fantastic fan service to put so much content in a book. Even the other thicker artbooks from 2015 are not even close to this, e.g. Blackwater Archives, Assassin's Creed: The Complete Visual History and The Art of Rocksteady's Batman. The concept art features designs for the characters, creatures, environment, sets, props, weapons, vehicles and lastly there are illustrations for posters, comic books and other easter eggs from the game. The quality of work is wonderful. There are preproduction sketches, black and white thumbnails, 3D renders and plenty of full coloured detailed digital paintings. According the credits page, 58 artists worked on the game. A post apocalyptic world is a fascinating premise and with the book, you get to explore the frightening idea of how such a world will look like, how the landscape changes after the bombs drop. The artists have managed to put the beauty into derelict. There aren't any commentary other than the foreword by art director and lead artist Istvan Pely. But they included two photos of the art department with art pasted all over the wall. It's really cool to be able to see where the artists work. This is a marvellous video game artbook. Highly recommended.